It was a Jamaican Day. Yes, I am talking about the Kitty Party with Jamaican Theme. All of us were in very colourful and vibrant clothes with vibrant colours like Black, Green Red and Yellow. Most of us were in the blouse that is usually short sleeved and the skirt that is a quadrille like dress popular in the Caribbean islands called by as bandana skirt in Jamaica. To make it more authentic we had worn the red head tie draped in a particular Jamaican way. The party started with Jamaican Dumplings, Jamaican Patties as Starters. And then came the main highlight of the party. 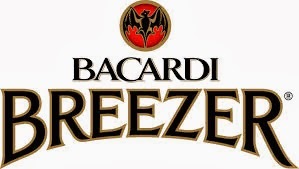 The Breezers that come in a range of flavours like Cranberry, Orange, Blueberry, Blackberry and the Jamaican Passion. I chose to have Orange being my all time favorite. I was enjoying and suddenly noticed that my friend was scolding the person serving drinks. “What happpend” I asked her. “Within half an hour, the entire stock of Jamaican Passion is over. Can u believe?” She replied. “Is that so?”.. 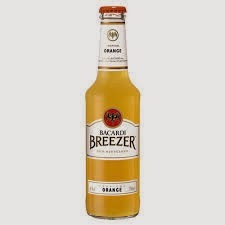 This made me more curious about this Breezer. Even I joined my friend in firing the management. Looking at out heated arguments, the Manager came and apologized. He then assured us the supply of Jamaican Passion within next half an hour. I was really looking forward to taste this now. When the drink arrived, everyone attacked the waiter. Even I joined the gang and immediately took one. When I had a sip of it, I was in the heaven. Such an amazing taste, I have never tasted before. The taste of Jamaican passion was simply awesome. Each sip of it left a tingle. The aroma too was very sweet, and fruity with a hint of passion fruit. Its was a perfect tropical drink. I understood why everyone was dying this now. The party ended with Jamaican delicacies like Jamaican Soup, Jackfruit Salad, Jamaican Stew, Jamaican Rice and ended with Soursoup Icecream. However, Jamaican Passion made this party a truly memorable for me.